We are offering a BREEDERS INCENTIVE for our 2019 Breeders! NRCHA and the NCHA Open and Non-Pro will receive $4,000.00. of the highest advancing Sweet Lil Pepto in the finals. 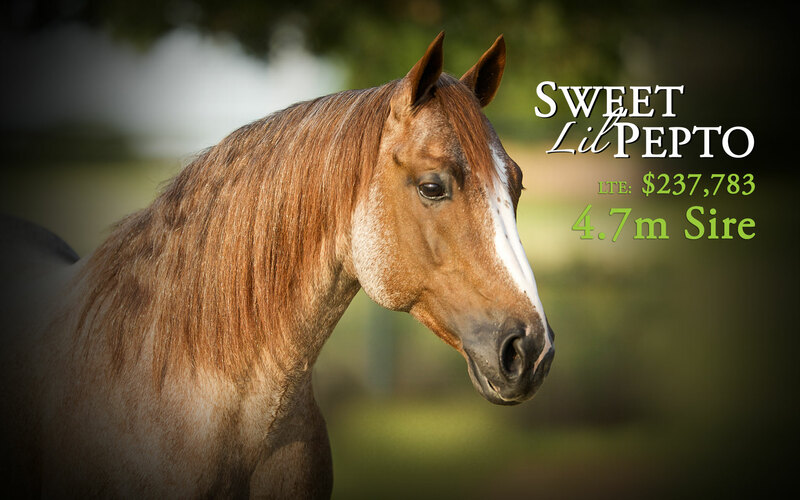 Sweet Lil Pepto comes from the finest bloodlines in the cutting horse industry. By the great Peptoboonsmal, who has sired over $26 million in earners, and out of Sweet Lil Lena, by Smart Little Lena, who has produced earners in excess of $800,000. Click this link to check out his magic cross and to get the latest information on his produce earners and stats.